As I continue my journey in life, I find myself grateful for how the earth can provide for our overall health. Not only through the foods that we can grow, but also the herbs in which can be grown in our gardens and found through foraging. In addition to what is close at hand in our own communities, we have the availability of sources globally to add balance. We can certainly acquire many herbs and spices in the baking aisle of our local supermarket, but what many sometimes forget is that the produce aisle have some of the same herbs, yet fresh and ready to be used. 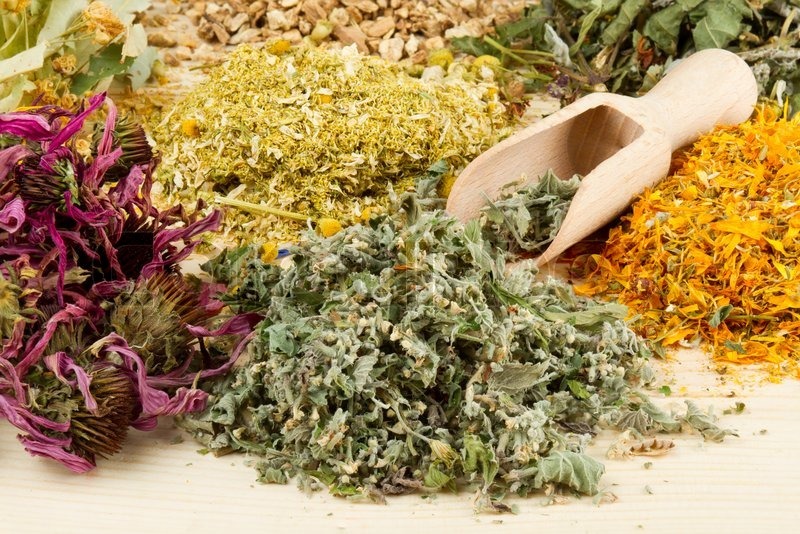 There is a vast number of herbs available for consumption and medicinal use. If you are seeking to use herbs beyond flavoring your evening meal, please honor your time, and start slow. There is so much to learn, yet exciting when you realize what a positive impact it will have on your overall health and wellbeing. Since everyone’s body chemistry is different, understanding that what one person might need to improve their health, might not be required for another. Herbalism is based on the use of plants and plant extracts, known as traditional medicine or folk medicine. It is not witch craft, but rather an understanding of how our earth is able to feed and heal our bodies. Other names one might hear when discussing or researching herbal medicine are: H. In essence, they all mean the same, in that they are the study of how herbal plants and their extracts can be used to help heal disease and maintain ones health, while providing a therapeutic benefit. In addition to plants, herbalism is sometimes extended to the use of fungi (mushrooms), bee products, minerals and shells. Seasoning is a common use of herbs that are added to our foods to provide a more intense flavor. Of course there are seasoning blends on the market, but utilizing fresh herbs in our cooking, actually provides more flavor while needing less. One can add sprigs, leaves and powders into our cooking. One can also create some very flavorful oils to be used as a dressing or in other forms of cooking. Herbal teas can be found beyond the local natural food store and into our local supermarkets. In addition, there are many brands. Knowing the brand is important, because not every manufacturer practices safe processing of their herbs and packaging while some add fillers. My preference is to make my own. All one needs beyond steeping the fresh herbs, are dried herbs using either paper or muslin tea bags or tea strainers which come in a variety of styles. The muslin bags and strainers are reusable, where as the paper tea bags are able to be composted along with the spent herb. Some people will steep their herbs without a bag or strainer. This is dependent upon one’s personal preference and perfectly acceptable. The fun part of making your own tea, is that you can go in your back yard and pick fresh, or select from the dried herbs you have already harvested, and create your own blend for your specific requirements. My morning tea consists of thyme, oregano, lemon balm and rosemary. A very light flavor, providing anti-viral and anti-bacterial benefits for my particular needs, and when I am in the mood for a little sweetness, I will add a fresh or dried stevia leaf. To make tea involves steeping or cooking the herbs. The most common is steeping for 5 – 20 minutes, depending on your desire or what many packages of tea might recommend. I tend to steep my herbs for 20 minutes. Another method is to put the herbs in a pot with water and cook for 5 – 20 minutes then strain to consume the liquid. I also make a herbal blend that benefits bladder health, where I infuse the herbs in water, bring to a boil, then let sit for 6 hours, to which I later strain, bottle, and refrigerate to consume over a couple of days. The advantage of consuming herbs as teas, is that their benefits are quickly absorbed by the body, with the potential of immediate or quick results. For long-term benefits, consuming tea for medicinal purposes and/or health benefits, one may need to consume the tea several times a day, over a period of time. The disadvantage is that some teas can have a very strong taste and sometimes a strong odor, which for those needing to acquire some needed medicinal benefits from they herbs, they can add stevia or local honey to make it more palatable. Tinctures are the result of when the active components of the herb are extracted when mixed with alcohol, water and sometimes with food grade glycerin. Since tinctures are concentrated, only a small amount is necessary, which makes it much easier to store and travel with, while only needing a small amount. Because of their concentration, be mindful of how much is safe to use, and always start out conservatively. Such as, if the recommendation is 10 drops per dose, start with 2 drops. This will give you an idea of how your body responds, and if positive or no noticeable change, increase slowly until you reach the recommended dose. Tinctures are easily accessible at local health food stores, some drug stores and via online retailers. Tinctures can also be available through your local holistic provider and also in home apothecary settings where one understands how to make them. Raw powders can be made by grounding dried herbs. There is no additional process beyond grinding it into a powder. This provides the benefit of obtaining the complete herb. It is best to use as fresh as possible, and approximately used within six months. Since I harvest in the fall, it is about 6-8 months before I begin consuming the fresh herbs that are beginning to grow in my garden. I love that powders are cost-effective and can be easily used in smoothies, stews, homemade salad dressings, and for some, making their own supplements. In addition to harvesting and drying your own herbs, one can find powder herbs at local health food stores, vitamin stores as well as online retailers. Some find it unpalatable to consume herbs through teas, tinctures, etc., and prefer to take their herbal supplements either as a capsule or in a pill form. In addition, due to the availability of vegan capsules, consumers are able to make their own herbal capsules when concerned about additional additives that one might discover from those who mass produce. Some herbal remedies in this formulation, are sometimes recommended by your physician. Due to the opioid epidemic, more physicians are now understanding how valuable using turmeric, cumin, and black pepper for pain can be. In addition, when a physician finds he/she has a patient who deals with chronic UTI’s, they will often recommend that they take D-Mannose vs. the constant need for repeat antibiotic usage. In addition to herbal capsules being used for many illnesses, they can also be taken safely over a long period of time for chronic conditions. It is important to understand, that with pills you will not see the noticeable results immediately as one would with the fresh or dried herb. The cost, depending on manufacturer and availability, can vary. They do store well. Please be aware that not all formula’s are of equal value, as there are great imitators that might not have the medicinal value you are seeking, since they could contain additional ingredients that might prove ineffective for your personal needs. . Skin lotions, creams, and salves are topical formulas used externally. These are excellent for calming down inflammation and easing music pain. Some examples are that of: Calendula is often used to help heal wounds, and comfrey or arnica applied as a cream are used for bruises. Herbal creams and salves are readily available. Please choose a good quality brand with the appropriate amounts of active herbs to do their job. Although the process of making them oneself might prove to be a bit challenging, it is something that can be done. If unable to make yourself, you might discover purchasing directly from a reputable health shop, herbalist or naturopathic physician which might give you the confidence in knowing what is in your product purchase. Infusion of herbs, made into a decoction can be applied to the skin as a wash. These are not taken internally, but rather applied directly to a specific area, or added to a hot bath for a whole-body benefit. In addition to an infusion made into a decoction, these infusions can be made into a useful compress. This is achieved by soaking a cloth into the herbal infusion then placing the compress on the affected part of the body. These are used to help heal wounds or skin rashes. Poultices use the whole herb versus the liquid infusion to help ease irritated or inflamed skin. The herbs are mixed with a moistening agent such as honey or an egg, which is mixed with the herbs and spread on the cloth, then applied to the affected area for several hours. If needing to move about, or use overnight, wrap with a self-adhesive ace bandage to keep in place. Be aware, that herbs are nature’s gift for our health. They should be respected and not consumed in excess. Similar to that of pharmaceutical prescriptions, supplements and herbal preparations. can have a negative effect on one’s health if consumed in excess. Herbal remedies can interfere with any pharmaceutical medications one might be taking. Be sure to discuss this concern with your physician if you decide you will be supplementing with herbs. In some cases herbs can increase the effects your prescribed medications. If you take both an herb and pharmaceutical to reduce your blood pressure, you risk the potential that your blood pressure could go dangerously low. Often, your physician will want to monitor your progress as you move forward. There are some herbs in which one should not take for more than a short period of time. Even when your physician supports your use of herbs to benefit your medicinal needs, it is vitality important to consider trying one herb at a time. This allows one to discover how each herb affects you. If you have an allergy, it can show up immediately or within a few days or within a few weeks.